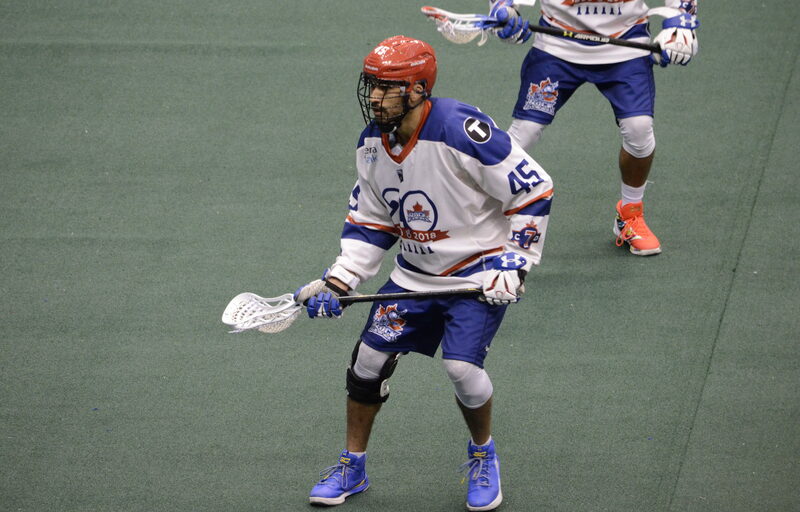 The Toronto Rock breathed a sigh of relief on Friday night as they snapped a three-game losing skid with a 14-9 win over the New England Black Wolves. The win, combined with losses by Rochester and Buffalo on Saturday, vaults Toronto precariously back into second place in the NLL’s east division. The Rock’s losing streak had culminated the week before in an 8-7 overtime loss to the same Black Wolves they faced on Friday. Indeed, Friday’s game was just as close as last week’s. It wasn’t until the fourth quarter when the Rock poured on the gas and pulled away. The Rock’s left side had been struggling without Tom Schreiber passing them the ball, but it looks like they’ve got things figured out. Kieran McArdle, Adam Jones and Reid Reinholdt combined for seven (half!) of the team’s goals. Whereas the team’s meeting at the ACC was a stingy one, this game was tied 2-2 just 2:22 into the game. Anthony Joaquim’s first career goal put the Black Wolves up 3-2 after the first. Joaquim and John Lafontaine went down two-on-one and the lefty put a shot over Nick Rose’s right shoulder. Stephan Leblanc increased the lead 42 seconds into the second but consecutive goals from Jones and McArdle tied things at four. 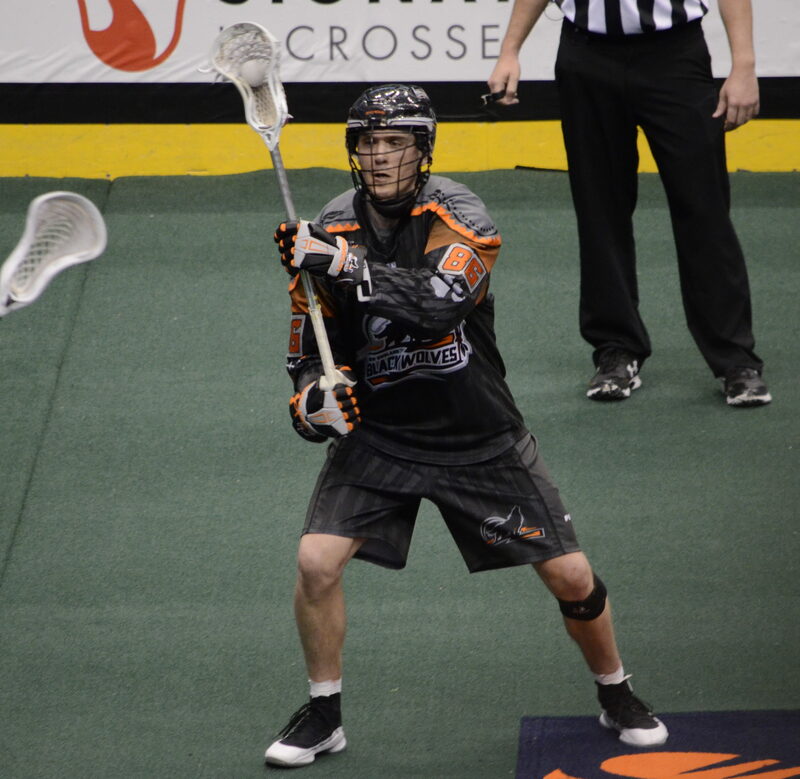 Kevin Crowley’s first of three in the game gave the Black Wolves back a 5-4 lead but Damon Edwards started a three-goal run, scoring on transition, to put the Rock up 7-5 at the half. “There’s no question we’ve been fighting it a bit and on a bit of a skid,” said Rose. “To get the monkey off our back and get right back into the thick of things in the east is huge for this team. I couldn’t be more proud of how the guys went to battle for us tonight. Crowley opened and closed the third quarter scoring with Johnny Powless also tallying for the Wolves. The Rock kept up their pace with three more in the frame to lead 10-8. The Wolves got back within a goal as Callum Crawford scored his first goal in front of his new home crowd since coming over from the Bandits. It was as close as the Black Wolves would get as Toronto rattled off four in a row, including three in the last four minutes, which started with a penalty shot from Jones at 11:06. Rob Hellyer (1G/8A) and Jones (2G/5A) led the Rock offensively, with McArdle (3G/2A), and Brett Hickey (2G/2A) also chipping in. Dan Lintner had two goals and Phil Caputo one. Rose made 38 saves. Leblanc led the charge against his old team with a pair of goals and four assists. Crowley had three goals and Johnny Powless two. Aaron Bold made 44 saves. The Rock are in Calgary next Saturday while New England, who retains first place in the east, is in Georgia.